Researchers at Harvard Medical School have published a study that, they suggest, shows it might be possible to reverse one sign of aging in mice. The potential to reverse aging is a bold claim to make, one that conjures the fabled Fountain of Youth and inspires a significant amount of medical research today. The researchers in this study focused on something that happens in the circulatory system: the changes that take place in blood vessels. As we grow older we become less able to grow new blood vessels in our muscles. This reduces our ability to undergo endurance exercise and is associated with frailty (the weakness and fragility some elderly people suffer). Similar changes also occur in other mammals, such as mice. 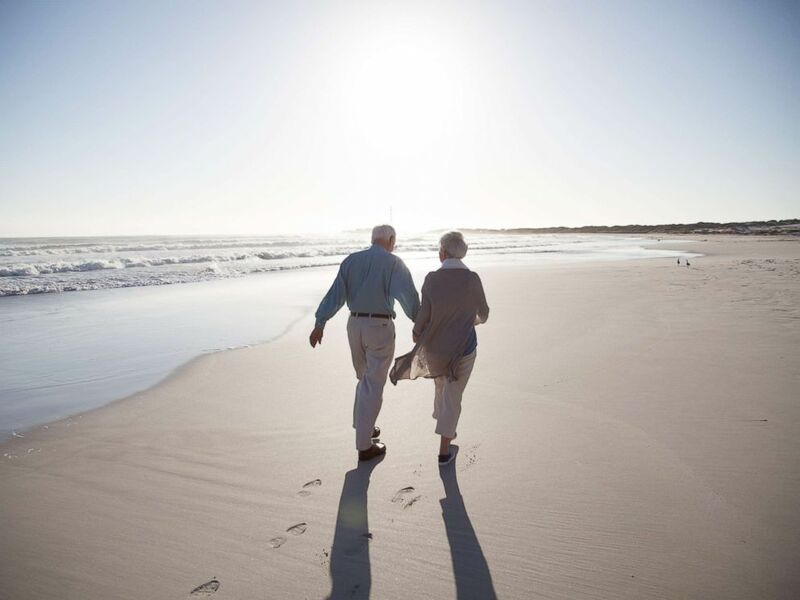 A senior couple enjoying time together walking on a beach at sunset in this undated stock photo. Scientists think changes to our blood vessels might underlie many of the health conditions associated with aging. They suggest that as these blood vessels reduce in number, sufficient amounts of blood are unable to reach vital organs, potentially giving rise to health conditions such as heart disease, stroke and dementia. The researchers in this study identified a gene in mice that is associated with the growth of new blood vessels. By manipulating the activity of the mice’s DNA, they were able to either block or increase the effects of this gene. They found that mice whose gene activity had been blocked were less likely to grow new blood vessels in their muscles compared to normal mice, the same finding that occurs as we become older. Previous research had shown that increasing this gene's activity could prolong mice’s lifespan. But a crucial point: This prior research was limited in its significance. It is not possible to edit the DNA of humans in the same way as is done for mice in a research setting. However, in this study, the researchers identified a chemical compound that could indirectly stimulate the gene. The chemical was given to a group of 18-month-old mice -- the approximate equivalent of a 70-year-old human -- in their drinking water for a period of two months. During this period, the researchers measured how far the mice could run on a treadmill before becoming exhausted. The drug increased the mice’s endurance by over 56 percent after two months and increased their muscle blood vessel growth to a level seen in younger mice. The chemical had no effect on younger sedentary mice, however, suggesting that its effect is unique to the process of aging, rather than boosting health generally. However, this is still years off. Although mouse studies are commonly used to understand how our bodies work, there is no guarantee that the chemical will have a similar effect in humans. There is also no guarantee that this chemical would even be safe in humans. The time taken to develop a drug for clinical use after an animal study such as this one is typically over 10 years, so don’t expect a prescription from your doctor anytime soon.